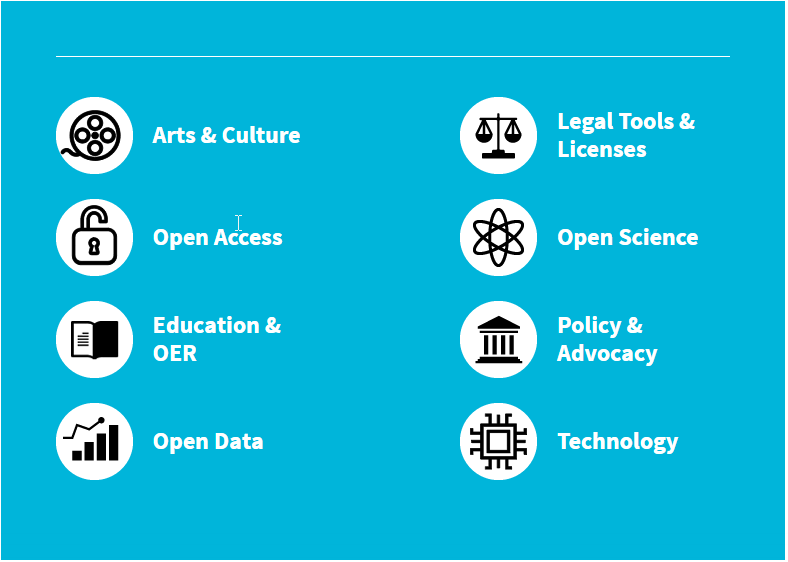 "Creative Commons helps you legally share your knowledge and creativity to build a more equitable, accessible, and innovative world — unlocking the full potential of the internet to drive a new era of development, growth and productivity" (Creative Commons, 2016). 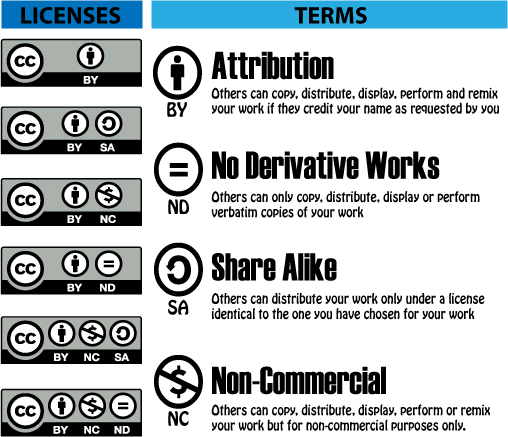 Creative Commons provides creators with free copyright licenses that provide a "simple and standardized" way to provide others with permissions to share and use works, with permissions the creator has decided upon. Creative Commons is a global network, working with individuals and organizations around the world. The goal is to promote an environment that supports creativity through "legal use, sharing, repurposing and remixing." This allows people to legally use things such as music, movies, images, publications, etc., with "some rights reserved." Creative Commons licensed materials must be used following the licensed conditions of the creator, including attribution, which is a condition for all CC-licensed materials. 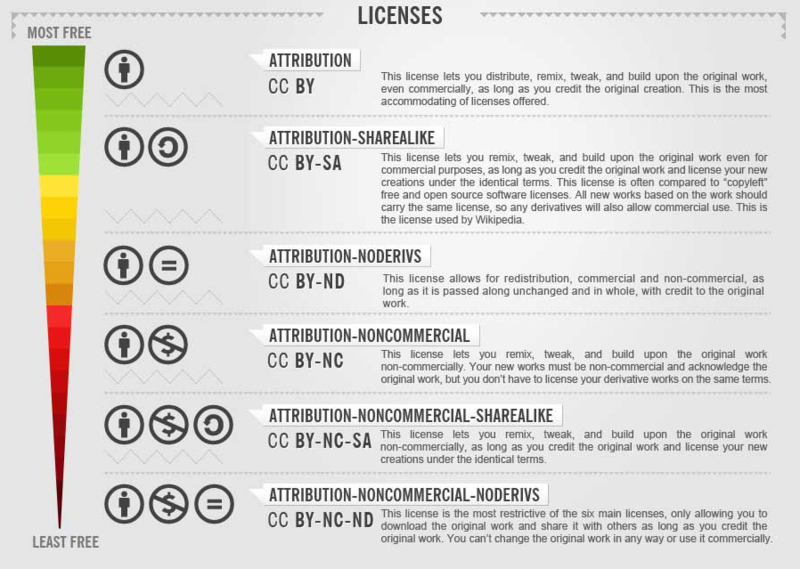 The following describes each of the six main licenses offered when you choose to publish your work with a Creative Commons license. We have listed them starting with the most accommodating license type you can choose and ending with the most restrictive license type you can choose. Creators choose a set of conditions they wish to apply to their work. You let others copy, distribute, display and perform only original copies of your work. If they want to modify your work, they must get your permission first.